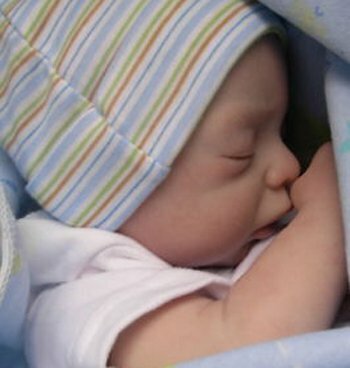 A reborn doll is a doll that is designed to look like a real life baby. If you have never heard of reborns or have heard of them but want to know more, you have come to the right place. Visit our shop to check out our current offers. They are so lifelike that it is uncanny. Some of them are so realistic that they have even been rescued by police officers when people have reported them for being left unattended in parked vehicles. So where did the idea of a reborn baby come from? How are they made and who makes them? Can you make them yourself? Where can you find them for sale? These are all question that will be answered for you here today. Let’s start at the beginning. The art that is a reborn baby got its start in the 1990s. It is based in a tradition of artists, collectors and manufacturers restoring dolls and making them more enhanced and lifelike. With the way that the internet brings people from all over the world together based on their interests, the creators, collectors and artists have formed a rather tight online society with their base being the dolls. Although they got their start in the 1990’s, the first one was not marketed on eBay until 2002. With the success of online marketing, there are now entire online stores dedicated to this art form. They are quite fittingly called nurseries. While many people collect models that look real for the works of art that they are, some people are using them as tools for managing grief from the loss of a child. Psychologist waver on the effectiveness of this and some even see it as more of a potential emotional danger. The production of RD’s has received worldwide attention and while in the UK they are very popular, they are also highly sought after in places such as the USA, Australia, all of the rest of Europe, Canada, Latin America and even Africa. There are tools and supplies being sold to make them all over the world plus accessories that you can purchase for your collection. At the time of writing there are even conventions, organizations, books and magazines that are dedicated to nothing but this craft. When you get to see your very first model, you will understand exactly why that is. The process of making these items is called reborning and the people who do it are called reborners. As you might expect this is a very long and time consuming process. The process starts with either a vinyl doll kit or a manufactured vinyl doll and the supplies and tools that are needed. All of these things can be purchased separately from each other. How it looks when it finished will depend on the reborner. Sometimes these artists create in the image of a child and sometimes not. As long as the real life figure is vinyl, then any type can be used in this craft. There are some premade models that are popular for reshaping. Those made by Secrist, Apple Valley, Ashton-Drake Galleries, Lee Middleton, Zapf and Berenguer come to mind. They come in various sizes and with varying facial expressions. The materials that the bodies are made from will be lifelike and one of the aforementioned companies actually has a vinyl that is trademarked for these dolls. These manufacturers also make them in sizes from preemies to child sizes. A preemie can be as small as 4 inches. These realistic dolls are available for purchase on eBay. At the time of this writing a search on eBay UK returned 9,575 results. They are in all shapes and sizes and they can be bought using the buy it now feature or in auctions. The highest priced model on there at this time is selling for £5,958 and the lowest priced is selling for £1.99 although the items being sold for that price do not look like anything has been done to them in order for them to be truly called reborn. They look like any toy model that you would buy at a store. You can buy reborn doll accessories on eBay too. Anything from clothes to blankets, pacifiers and bibs can be found and purchased. In short, anything that you would buy for a real baby can be purchased and all of it can be found on eBay. Popular accessories include items such as a dummy, dummy clips, hairbands. rosettes, ribbons, sponges, bottles and much more. Believe it or not these dolls have been featured on a number of television shows. One notable episode of Dr. Phil comes immediately to mind. The topic of discussion that day was “Obsessions” and reborns were one of the obsessions that was discussed. There was also a show known as “My Fake Baby” that covered the lives of some of the women who are collectors. This was a documentary and it was featured on the UK tv show Richard & Judy. During the show there was also an interview with reborner Jaime Eaton. Also interviewed were psychiatrist Raj Presuad and collector Mary Flint. In 2009, 20/20 did an episode that discussed not only the attachment that some people have with these items but also the mothering process that goes along with it. One week after that show ABC News ran an article on the emotional interaction that people have with the dolls and the process of making them. Another American news program, Inside Edition, had a segment that showcased reborner Eve Newsom along with the wonderful creations she had made. Most of the best designers have their own shops where they sell the dolls, accessories and sometimes even the kits to make them. One of the top “nurseries” is Le Berceau des Reves. Others of note include Blessed Baby Creations, Nurserie La Petite Fee, Luciole, Bella Bambina Nursery and Ten Pink Toes Nursery. There is also La Culla delle Coccole, Nikkis-Seaside-Babies, Yellow Cottage Nursery, Precious Babies Nursery and Binky Baby Nursery. There are a great many more than this out there though and simply searching online will get you more results than you can go through. Newborning is the term used to describe the process of making one of these figures from a kit instead of turning an already made doll into a “reborn” one. Starter kits for this process generally come with faces and heads, limbs and eyelashes, paint brushes and pellets for weight, genesis heat set paints, cable ties, cloth bodies, nose drill bits, thinning shears, fake tears, cotton dipped applicators, cosmetic foam wedges and glue. Those are the materials that will be necessities. There are more supplies that you may also need. You may want to get some acetone in case you do not like the paint that the factory put on. Whether the baby is to have hair or not is optional but if so then you will need to get some. For this you can use fine mohair, wigs or even human hair. If you choose for him/her to have hair then you will also need a rotting tool and these are sold in various sizes. You may also want to purchase some eyes and if so they are also offered in a plethora of both sizes and brands. If you are making a figure in this fashion then you will more than likely take it apart and remove the factory paint and then apply a blue color wash to the inside of each of the vinyl parts for more realistic doll undertones for the skin. If it is to be awake then you will need to add eyes. The outer parts of the vinyl will need not just a few but dozens of layers of paint. If you are using the heat set paint then after each coat the doll will either need to be baked in the oven or blown by a heat gun in order for the specialized paint to dry. You should also drill the holes for the nose and manicure the nails. Then you will want to add the hair. When you finish with the hair you stuff the original vinyl body with the weight pellets. Some people also weight the heads. You can also put magnets in the head to hold bows or inside the mouth to hold a pacifier. There are even electronic devices that you can get that will make the heart beat or even make the chest fall and rise to simulate breathing. Some can be given umbilical cords. They also make things for baby fat, voice boxes or even heat packs to make the doll feel warm to the touch. All in all, if you are going to make one of these dolls, plan to spend at least 2 months or more on the project. 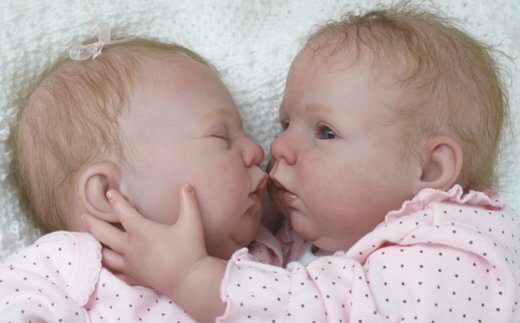 How much does a reborn doll cost? The price varies hugely. You can find some really high quality items around the £300 mark but equally people can pay up to £20000 depending on the doll. There are also bargains out there for those who watch the auctions carefully. Sometimes really beautiful models can be picked up cheap that only need a little cleaning to bring them back to life. Can they move or talk? Normally, no. It's not something that most people require. There are however some dolls which may make a crying sound and some have fake tears. You may also find dolls that can have wet pee nappies. Of course, they don't actually drink milk. Are reborn babies all made of silicone? Yes, pretty much. This way they will last and can be easily customised. When was the first reborn made? Some date it back to the late thirties. This was a time when more of an effort began to be made to make dolls look realistic. The popularity of these items as we know them today really began to take off at the start of this century. Many are made by enthusiastic hobbyists all over the world. This of course means a fantastic range of designs to suit all tastes. Bigger companies have been getting in on the act over the years but it is largley still a home grown home made industry. The dummy/pacifier keeps falling out of the mouth? This is a problem we often hear. You should buy or make a doll which has a magnet behind the mouth. This will hold it in place. Mohair is quite strong so you can certainly try a few different styles. If you are putting any products in then be sure to always clean them out. Leaving them in can cause problems.